As you’re nearing the end of beginner’s protection, you should know how to defend yourselves and make your enemies leave empty-handed. In the previous chapter, you learned how to use your army and hero aggressively for profit. Now we need to deter human raiders who seek to do to you what you did to the robbers. A good defense involves several layers – defensive walls and troops are just one of those layers, and they’re not too effective at that. Successful defense starts with denying your potential enemy any knowledge that you could be a target in the first place – by placing your own scouts on watch to prevent enemy scouts from accessing your village. Another possibility is to hide your resources in crannies so they can’t be stolen by your enemy. Finally, successful defense ends with denying your enemy a reward. Both of these tactics don’t cost you any precious troops – scouts on defense don’t die, while crannies are cheap and your enemy would have to bring catapults to destroy them. Crannies are the cheapest building available and, especially at the start of the game, they can help to effectively deter attackers, since it’s unlikely for someone to keep attacking you if there is little prospect of reward. This way, you can keep your troops outside your village (to save them and pick your battles, remember?) while you observe the enemy units attacking your village and then counter-attack. This tactic means you won’t lose any resources or worse – give them to your enemies. When your village grows, your crannies will have served their purpose and can be torn down. You should start building them only on the last day of beginner’s protection, and make sure you have enough so that you can comfortably leave your village undefended from time to time. The cranny is one of the buildings you can construct multiple times, but only if one of them has achieved the highest level. For the cranny, the maximum is level 10. Build crannies on your free building spaces, but wait until the last day of beginner’s protection. Another important thing to keep in mind is to build scouts, and plenty of them. They not only serve to gather information for you, but also keep other players’ scouts out of your village. 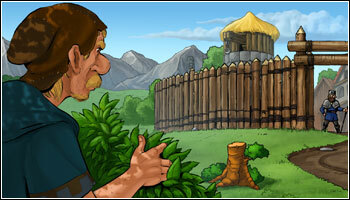 Most players will consider a village to be a risky target if they can’t collect any intel about it, and will often choose to search for easier targets. 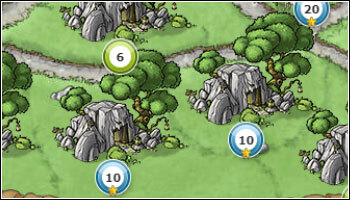 Scouts improve your defense against enemy scouts while they are present in your village. If you have more scouts than your attacker has sent, it is very likely that your scouts will defeat those of your enemy and they won’t receive any intel reports. There is no risk for your scouts – scouts on defense can’t die while uncovering an espionage attempt. It could also be the case that some enemy scouts manage to return home and provide information to your enemy – but then you’ll at least know something is about to happen. A scouting attempt can be considered a hostile action – the other player is looking for potential targets to plunder, and you’re one of them. If you don’t have any scouts on watch, you won’t even know what hit you or even that something hit you at all. Mind you, you won’t be able to build a defense capable of warding off a full-scale assault, especially not in your first village. But you don’t need to, at any rate. You’ll want to pick your battles. You don’t want a standing defense that gets slaughtered as soon as a serious attack occurs. Preserve your military. You should have your defensive units garrisoned at your oases to produce resources over time and standing by to be recalled, rather than in your main village. Especially in the early game, every unit you place at an oasis you own in order to produce extra resources can make a huge difference. Expand your military and only pick battles when you know you’ll win. That means you’ll evade unknown incoming forces the first time in any case to see what the attacker throws at you, and only use your defense to intercept small, regular raiding parties while you’re online. As the saying goes, the best defense is a good offense. What’s even better though is having many powerful friends. This will be the topic of the next chapter.